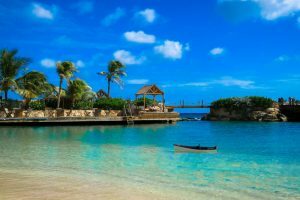 The Curaçao government revealed plans to tighten its grip on the provision of online gambling services from the territory of the Dutch Caribbean island, local news outlet the Curaçao Chronicle reports. Aside from its beaches and expansive coral reefs, Curaçao is also known as a popular online casino and betting licensing destination. Hundreds of online gambling companies run their businesses with licenses from the island. Those licenses are usually obtained by trust offices based on Curaçao. The practice of having their activities run by such offices has become so popular among iGaming operators that it has resulted in the creation of a “shadowy trade in sub-licenses”, as put by the Curaçao Chronicle, that has allowed gambling websites to operate “unhindered” for years. Curaçao’s land-based casino industry is currently overseen by the local Gaming Control Board. It has emerged that the online gambling sector will soon, too, be supervised by the regulatory body. The tightening of oversight rules for Curaçao’s online gambling industry was triggered by growing concerns over a suspected direct link between gambling and money laundering, financing of terrorism, human and arms trafficking, and other serious crimes. It is also believed that the changes in the way online gambling will be regulated on the island have been urged by the most recent comments by the Dutch gaming authority, Kansspelautoriteit, which has long been vocal about Curaçao-licensed online casinos targeting Dutch gambling customers. Commenting on the latest news from Curaçao, Dutch MP Ronald van Raak praised the island’s actions to “tackle illegal gambling” provided from within its territory. 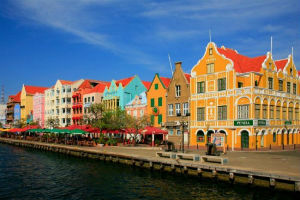 The politician, who has been extremely critical of the unlicensed provision of online gambling services in the Netherlands, also pointed out that the current state of affairs has been affecting Curaçao’s reputation very badly. Curaçao sublicensing online gambling companies via local trust offices was at the center of broader media coverage after Kansspelautoriteit fined two clients of such offices for the illegal provision of online gambling services. CyberRock Entertainment and affiliate company Honeydew Trading Limited were slapped a €350,000 fine for targeting Dutch customers. Both online casino operators were found to be clients of Carmanco NV, one of four subsidiaries of the larger Curaçao Trust Management NV. The latter company is licensed by the Central Bank of Curaçao and Sint Maarten (CBCS) to provide trust services to international clients. However, CBCS has recently announced that it would take measures against Curaçao Trust Management namely due to its work with gambling companies servicing customers in jurisdictions where they are not authorized to do so.